Aer Lingus has two Business Class award seats open on a good amount of flights between Los Angeles/San Francisco and Dublin this July and August. It costs 70k United miles to book, or just 46k SPG points transferred to British Airways Avios with the current 35% transfer bonus from hotel programs. Considering that finding premium cabin award space to Europe from that side of the country is difficult anyways, this should catch your attention if you live on the west coast! Through March 8, transferring your hotel points to British Airways Avios reaps a 35% bonus. So 46k SPG points = 75,600 Avios, which is enough for a one way Business Class award flying Aer Lingus from the west coast to Dublin. You’d get a 10k bonus for transferring 46k SPG points to British Airways (5k bonus for every 20k point chunk), making that 46k Avios 56k Avios, and then you’ll also get a 35% bonus on top of that 56k, which equates to 75,600 Avios. I called to price out an Avios award between San Francisco and Dublin, as you have to watch out for fuel surcharges when redeeming BA Avios between the United States and Europe. But the total out of pocket cost is just $34! Looks like Aer Lingus doesn’t charge much for fuel surcharges. It’s not the best deal around, but it is a very good one. For example, 40k SPG points transfers to 50k Asiana miles, which is enough to book Lufthansa First Class to Europe. But it can be difficult finding Lufthansa First Class award space, and this award space is not hypothetical. 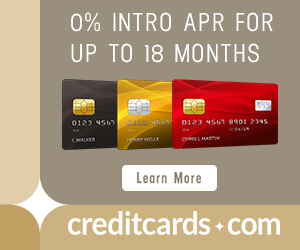 Here’s an analogy of how good this deal is: This Avios award is to Business Class award deals to Europe as the Chase Sapphire Preferred is to credit card offers. Aer Lingus Business Class on the Airbus A330 features a comfortable fully flat bed, on-demand dining, and free wifi. The A330 features 23 Business Class seats, configured in five rows with four and five seats per row alternating. That means only a few seats don’t have aisle access. The beds are the same type as JetBlue has put in its Mint Class. The bed measures two meters (6’6″), and turndown service is available. You won’t find Aer Lingus award space on British Airways’ website. You can search united.com, but there’s no way to filter so you see just Aer Lingus flights. You’ll have to click day by day to sort through different options, like Ethiopian Business Class (which there looks to be a decent amount of space on as well, however it’s an inferior product to Aer Lingus). The fastest way to find space is using Expert Flyer. Expert Flyer is a paid service, you can try it for free for five days. Read more about how we use it in Free First Class Next Month: Using expertflyer.com. To book with BA Avios, call the Executive Club at (800) 247-9297. You can book the space with United miles right on united.com. There’s more Business Class award space for two from Los Angeles than San Francisco by a long shot. The following calendars are for direct flights for two travelers in July and August between Los Angeles and Dublin. Note that other Star Alliance carrier award space is included in this calendar. Other days in between have Business space for one. The next two calendars are for direct flights, two travelers, in July and August between San Francisco and Dublin. Again, note that other Star Alliance carrier award space is included in this calendar. Other days in between have Business space for one traveler. It shouldn’t be too difficult to connect on United flights from your home airport to Los Angeles or San Francisco as both are United hubs. Connecting flights within the continental United States and Canada will add nothing to the mileage price of the award as long as they’re Saver level award space. If you’re not interested in Ireland as a destination, from Dublin you can can connect to all of the places that Aer Lingus flies to in Europe without changing the price of the award as long as the award space you add is Saver level. You can also connect on Turkish airlines, Lufthansa, Finnair, or Swiss. Or just take a cheap Ryanair flight somewhere, Dublin is a hub and has a ton of options to connect on. Adding any segment on a British Airways Avios award will price as a separate award. But as I mentioned above, you could take a cheap Ryanair flight to a wide variety of places from Dublin. United miles and Ultimate Rewards (which transfer to United miles) are some of the best reward currencies to collect for getting to Europe in Business Class as United and Star Alliance generally have the most premium cabin award space to Europe. 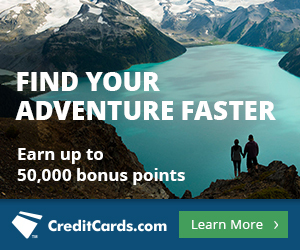 There are many credit cards that earn United miles or Ultimate Rewards. There are two business class seats available on many days in July and August between the west coast of the United States to Dublin on Aer Lingus, which features a premium Business Class product. It’s rare to find a good Business Class product from the west coast with award space to Europe during peak travel time, and it’s only 46k SPG points +$34 to boot if you live in Los Angeles or San Francisco. If you’re interested in booking with 70k United miles, go ahead and book now as you have 24 hours to cancel for free.